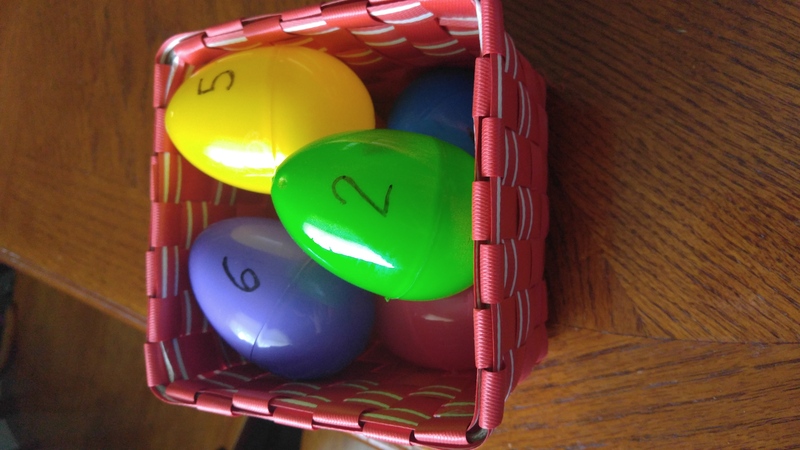 A few years ago, I was searching for ideas to help my kids understand the meaning of Easter. They were 5 and 2 at the time. I knew the 2-year-old wouldn’t grasp too much, but the 5-year-old definitely would. I wanted something simple, yet effective. I discovered Resurrection Eggs, which was a new concept to me. It isn’t something I grew up with or had ever heard of. I did some research and learned you can buy or make them. A lot of them were for 12 days, which seemed overwhelming to me. Then I found a plan that used six eggs. I did some tweaking, and we gave it a try two years ago. It was a hit and worked really well. This is our basket of eggs. I use the same ones year after year. 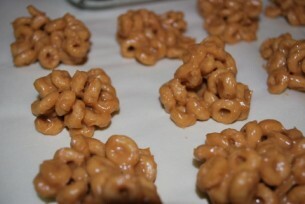 I am not one bit a crafty person, so I can assure you that these are really simple to pull off. All you need to do is buy six plastic Easter eggs. The rest of the stuff you most likely will have at home. 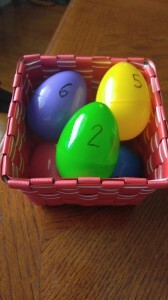 I went with the bigger eggs rather than the small ones that we usually do for an Easter egg hunt. That’s my best suggestion, but the small ones could work, too. And that’s pretty much it. You open an egg a day starting the Tuesday before Easter, and it will take you through Easter Sunday. © 2017 Written Creations, LLC. All Rights Reserved.